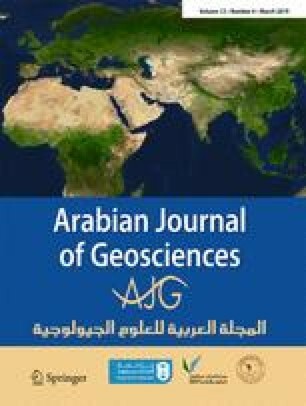 The effectiveness of natural fractures restricts petroleum exploration and development of tight gas sandstone reservoirs. Taking Xujiahe Formation in Yuanba area of Sichuan basin as an example, the effectiveness of natural fractures is studied by using outcrop, core, thin slice, imaging logging, and production data. Natural fractures of Xujiahe Formation are relatively well developed and structural shear fractures are the most developed ones, which mainly composed of high angle fractures and almost perpendicular to rock stratum. Statistics of fracture basic parameters (outcrop, core, and thin slice) are done and the fracture density is calculated. The main strike of the fractures is NW-SE, nearly E-W, nearly S-N, and NE-SW, formation period can be divided into four stages. The controlling factors of the fracture effectiveness are fracture filling and opening degree, fracture formation period, and the maximum horizontal principal stress. There are obvious differences in the effectiveness of different fracture types and occurrences, the effectiveness of high angle fractures, vertical fractures, and the fracture strike of NW-SE, nearly E-W is the best, which is of great significance for the development of tight gas sandstone reservoirs. We are very grateful to Exploration Company, SINOPEC, for their kind help and support to complete this study and the permission to publish the results. We thank all the editors and reviewers for their helpful comments and suggestions. This study was financially supported by the National Science and Technology Project of China (No. 2017ZX05036003-003), the National Science Foundation of China (No. 51674211).